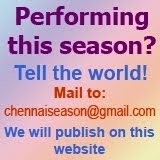 Was it the only concert of Vijay Siva this season? Or this December? 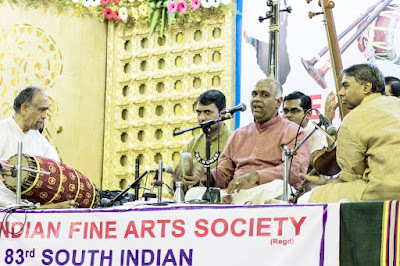 When Indian Fine Arts Society's advertisement appeared in The Hindu with N.Vijay Siva's name in the evening concert session on Dec. 26, 2015, many called up the sabha to confirm if the information was correct. Vijay Siva had earlier cancelled his concerts due to the recent deluge in the city and he had expressed that "I feel this is not the moment for happy singing. Hence, calling off Dec season concerts. I plan to resume on 1st Jan 2016." on his social media page. And those who got the information confirmed before afternoon were lucky to get a double bonanza at the sabha. The sabha had scheduled Gayathri Venkataraghavan's concert before Vijay Siva's session. A ticket for the evening gave them two 'big' concerts. People were seen buying tickets at the counter for the 'only' concert of Vijay Siva, in large numbers. Soon the Ethiraj Kalyana Mandapam hall was near-full. 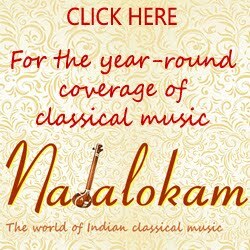 Beginning with 'Nada tanumasiam' in Chittaranjani, a raga that does not have the upper octave sancharas, was a quiet start. But what followed was a shower of wonderful music. As is the characteristic of Vijay Siva's concerts, songs flow one after the other without any long pause. Vijay Siva presents the Pantuvarali version of Shyama Sastri's 'Karuna joodavamma' instead of the Varali version and he did it on that day too. But one could feel the slow pace and the peace that surrounded the hall during this rendition. The day was Arudra Darsanam and Lord Siva danced in Vijay Siva's 'Ananda natana prakasam' in Kedaram. A rich presentation of 'Enati nomu phalamu' (Thyagaraja, Bhairavi) followed. The highlight of the day was the lovely Charukesi alapana, tanam and the pallavi 'Padamendru nambinen amma Uma' The kalpanaswaras in Charukesi as well as the ragamalika ragas Hamir Kalyani, Hindolam and Kuntalavarali brought out the beauty of the madhyamam in each of these ragas. Anchoring on the madhyamam of the ragas, Vijaya Siva displayed a spread of his creativity. 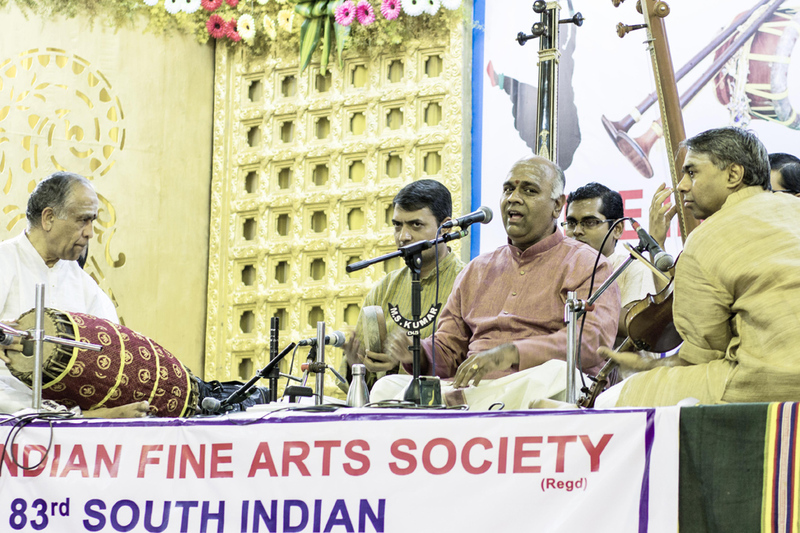 When R.K. Sriramkumar is on the violin, the concert has to get a fillip. A violinist who knows every syllable of the sahityams follows the singer like a shadow and gives an effect of oneness with the singer. Who do you think was on the mridangam? It was Trichy Sankaran and so there were lots of moments of rhythmic magic unfolding with verve. The tani avarthanam between Sankaran and K.V. Gopalakrishnan resonated long after the concert. 'Arunachala Siva', 'Bolo Sairam' and 'Malaikulaviya (thiruppuhazh) were for the concluding session. All that one wished for was a hall better treated for acoustics and less traffic on the road which intruded into the ears of those in the last few rows. When do young people attend kutcheris?